How To Verify A USA Paypal Account With Payoneer. Do you have an unverified Paypal account and you have been thinking of How to Verify A USA Paypal account with Payoneer? 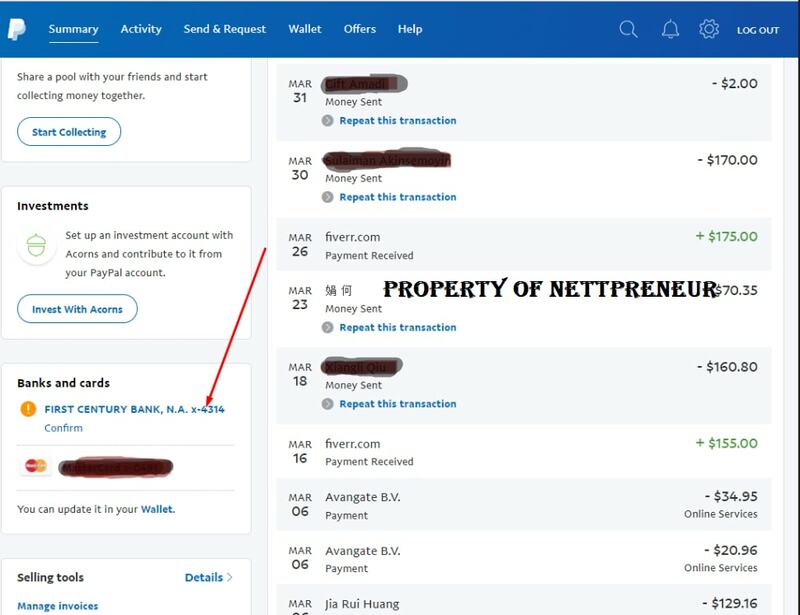 For most online entrepreneurs, having a fully verified Paypal account is a necessity, as you just can’t do without it if you really want to make money and receive payments for services rendered online. 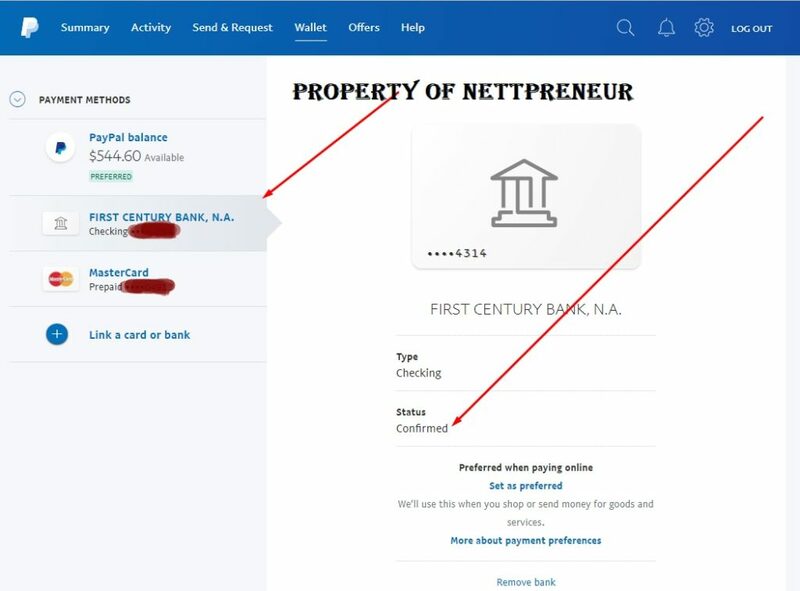 A fully verified Paypal account saves you from the stress and troubles associated with operating a Paypal account, and it gives your customers an extra layer of security as most online shops do not accept or process payments made from unverified Paypal accounts to prevent transaction charge backs. 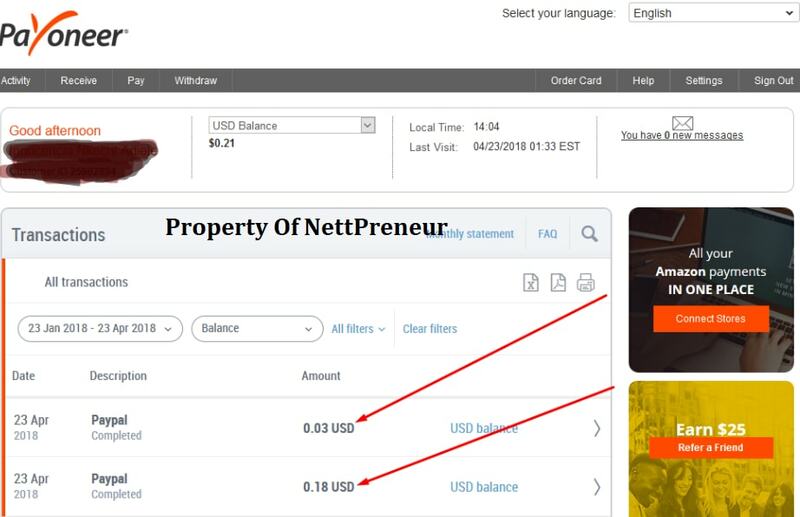 Verifying your USA Paypal account is quite easy, although most online entrepreneurs from countries like Nigeria, India, Pakistan e.t.c find it difficult to do this. If you fall into this category of people, i will show you how to verify a USA Paypal account with Payoneer in this article. The steps are easy to follow and apply. Verifying Your USA Paypal Account With Payoneer. Verifying Your Paypal Account Linking Your Card. After signing up, Payoneer automatically creates a US Bank Account for you when they issue you their MasterCard. This USA Bank account makes it very easy to verify your Paypal account even if you don’t live in the US. If you do not have a Payoneer Mastercard, you can easily sign up for one and get your card Payoneer mastercard delivered to your doorstep in less than 3 weeks. 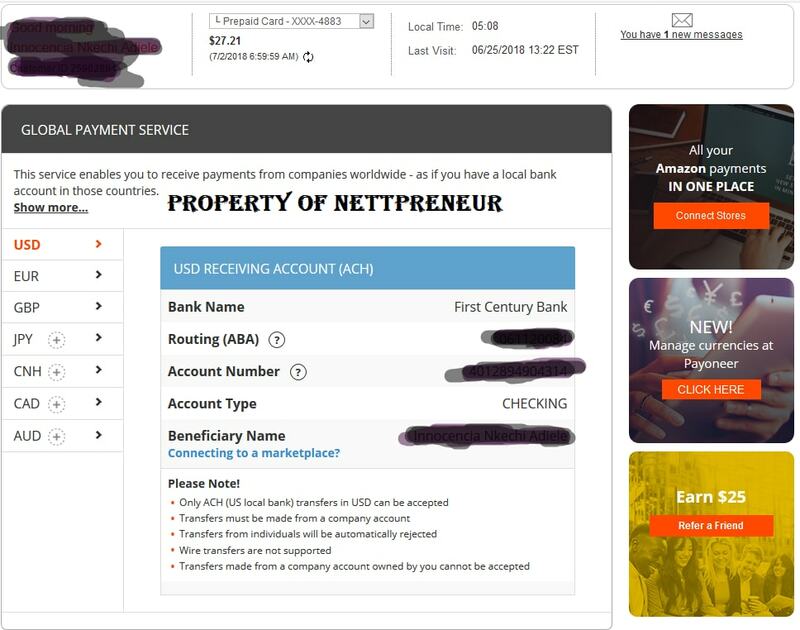 You are also entitled to receiving a sign up bonus of $25 if you sign up with this link Sign Up For A Payoneer MasterCard & Receive $25 Bonus For FREE!! You need to activate your Payoneer MasterCard as soon as its delivered to you. Payoneer usually sends a mail regarding activating your Payoneer card to enable you make use of the Global Payment Service which affords you the privilege of having a USA bank account. To access your US Bank Account Details, simply login to your Payoneer dashboard and click on Receive Money > Us Payment Service. Login to your Unverified Paypal account, and click on the verification link using Bank Account Details. Fill in the details of your US Bank Account which you had collected earlier from the Payoneer website and submit the form. You would receive a message saying that your Payoneer account would be credited with two deposits sent from Paypal (usually less than a dollar) which you would use for account confirmation. 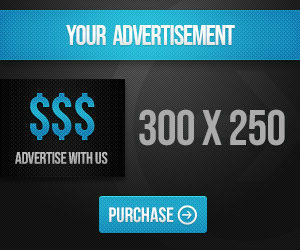 The payment is usually deposited within 48-72 hours. Below is a screenshot of the Payments made. Once you receive the payment, Paypal would send you a mail to confirm the exact amounts deposited into your Payoneer USA bank account. Login to your Payoneer account to copy out the two deposit amounts. Follow the verification link sent by Paypal and then fill in the two deposit amounts in the boxes provided, and click on submit. That’s all, A new page would load with a congratulatory message confirming that your Paypal Account has successfully been verified and all limits lifted. If you have been faced with the problem of how to verify a USA Paypal account with Payoneer, then this tutorial is for you. 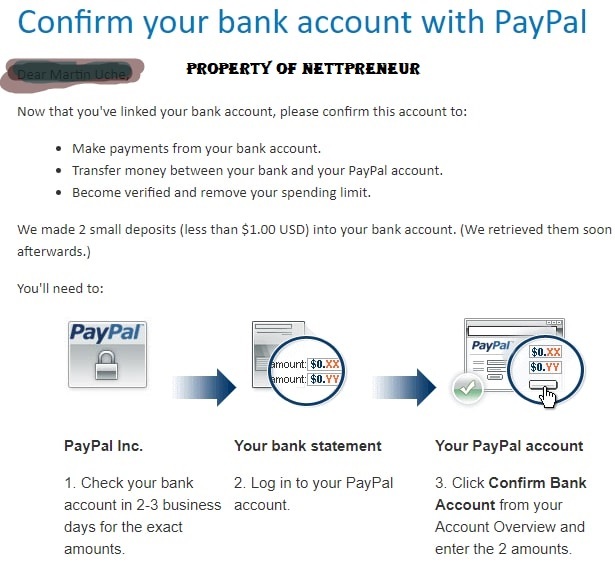 I used same steps listed in this article to verify my USA Paypal account. Do you know of any other Working method which can be used to verify a USA Paypal ? If yes kindly use the comment box below to share with us. Sharing is CARING and Caring is SHARING. If you need help carrying out the steps listed in this tutorial, feel free to leave a comment and ask questions using the form below, i will answer them ASAP.